Described as “a supremely refined, elegant, cerebral musician” (Ottawa Citizen), Sylvain Bergeron is a master of the lute and plucked strings family of instruments, including theorbo, archlute and baroque guitar. 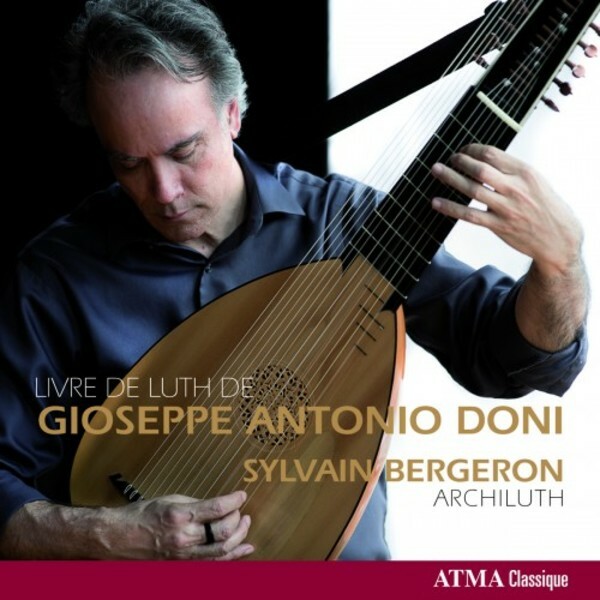 On this new solo Atma recording, Bergeron performs a selection of lute pieces from The Doni Lute Book, a manuscript compiled between 1620 and 1640 and preserved at the Archivio di Stato di Perugia (State Archive of Perugia, Italy). The Doni Lute book is both an anthology and a manual. It contains a large number of unique and never recorded pieces, and it bears witness to the wealth of Italian lute music from the beginning of the 17th century.